Around the same era as the Etrich Taube the Morane-Saulnier Type G was one of France, Britain and Russia's first fighter planes. Like most Early World War One aircraft the Type G was originally designed as a racing plane that was adopted for military service. Though capable of carrying a passenger, the Type G was primarily a single seat aircraft used for scouting. It featured no armament except the service pistol wielded by the pilot and was never intended for a combat role. Despite this, the Type G and one Russian pilot named Pyotr Nesterov were responsible for the first air to air kill in history. On August 25th 1914, after unsuccessfully emptying his revolver at an Austrian Albatros BII Staff Captain Nesterov then rammed his plane into the enemy aircraft. The brash action destroyed both planes and killed the Austrian pilot, observer and Nesterov himself in the process. It is believed he was attempting to to preform an"Ariel Ram"; a risky maneuvered used by the Russians up into the second world war. The idea is to clip an enemy plane using your landing gear, causing catastrophic damage to the enemy, or forcing them to loose control. Whether or not this was actually Nesterov's plan we will never know, but his bold and frankly crazy action - fitting for the man who also preformed the first aerial loop- went down in history and inspired generations of Russian pilots to come. 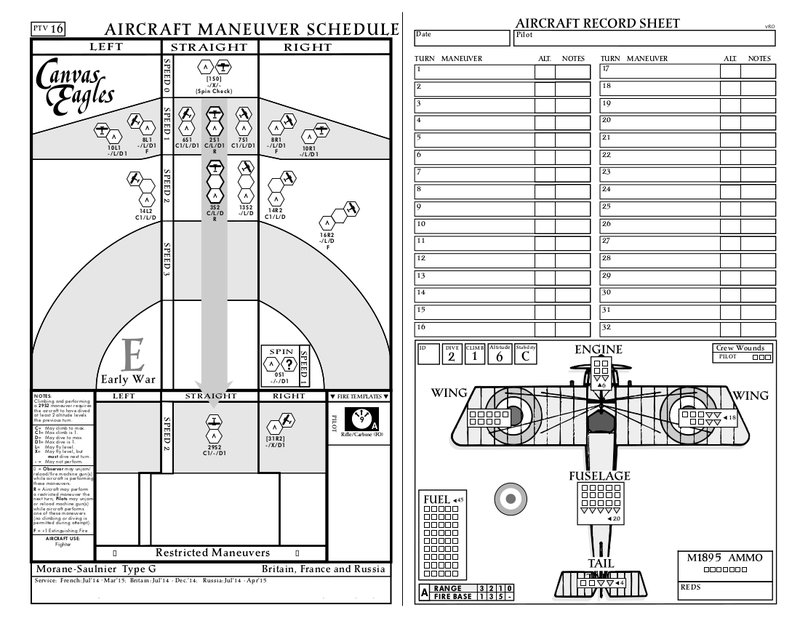 For those of you that play Canvas Eagles, you will quickly realize that the Morane-Saulnier Type G is not a plane you can download from the Canvas Eagles Website and thus not something you would be able to use in game. 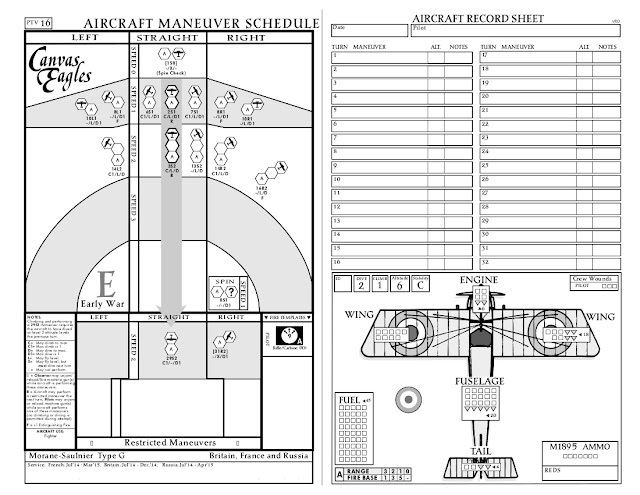 And you would be correct; we had to make our own sheet. 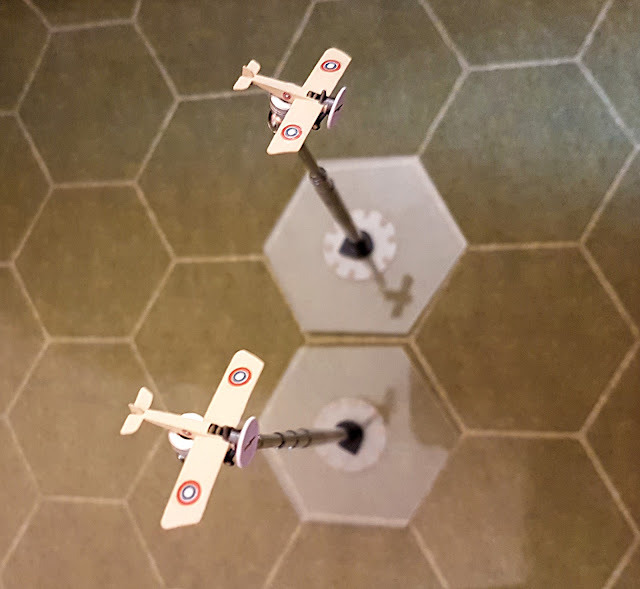 In game terms the Morane-Saulnier Type G isn't much to look at, however in our few tests against similarly matched planes it does make for a very hilarious dogfight that really does feel like dueling with pistol in the air. Like the Taube, the Type G uses JADE's modified Carbine/Rifle Rules, this time featuring a revolver for the pilot. 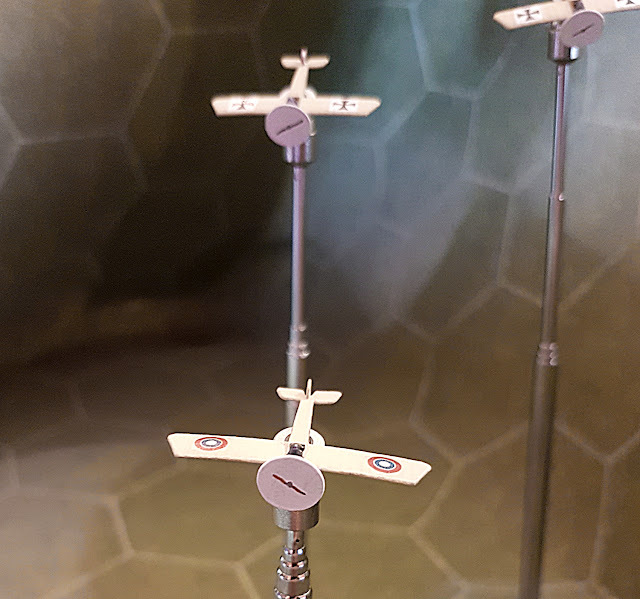 These 1/300th scale Morane Saulnier Type-G models are from Shapeways and are among the first 3D printed planes I have painted. 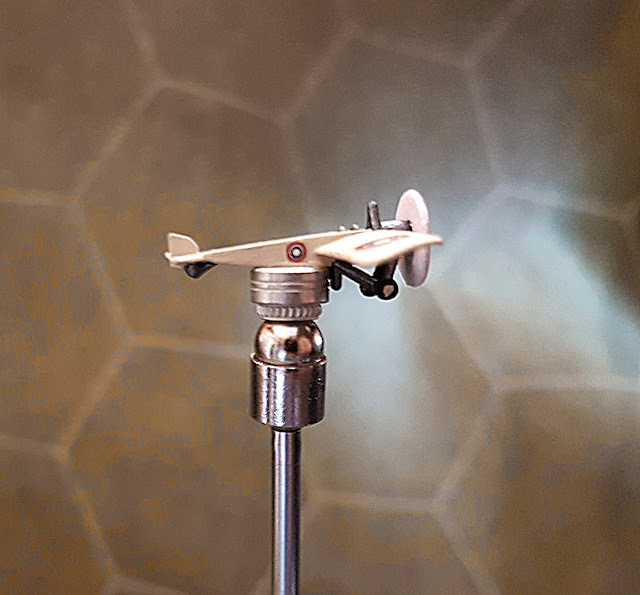 The detail on 3D printed planes is fantastic especially when compared to their metal counterparts, and I also really like how these guys did the propellers, though the group is divided on that. The major downside here is that the plastic planes are much more fragile, so you have to be a little more careful with them. They are definitely more pricey, but as far as I know it is the only place you can get these planes in that scale. You will also need to clean these models as they will have wax on them from the printing process. I recommend soaking them in Simple Green cleaning solution for 20 minutes, and then a light scrub with a soft tooth brush and a toweling off with some paper towel. Also if you like the look of our flight stands, we got them from CorSec Engineering. The best source for that sort of thing.